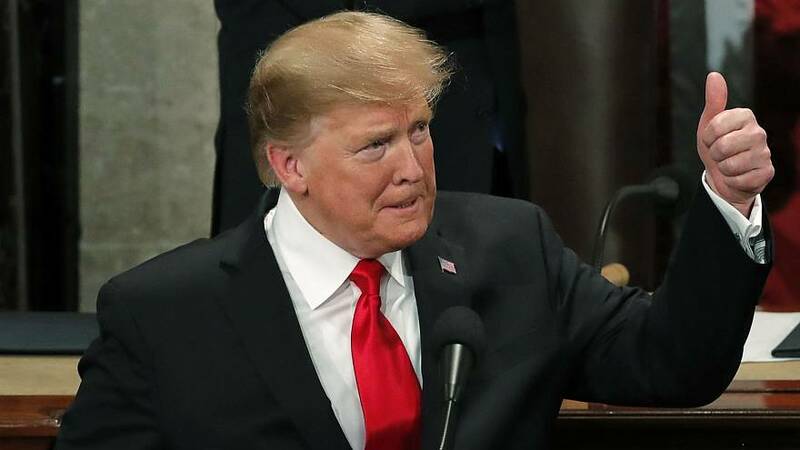 Several parts of US President Donald Trump’s State of the Union speech drew chants from lawmakers of “USA, USA” on Tuesday night. The call first came in response to Trump’s assertion that “America is winning each and every day”. “After 24 months of rapid progress, our economy is the envy of the world, our military is the most powerful on earth,” he said. It was later heard across the chamber when the president highlighted the increasing role of women in Congress. “Exactly one century after Congress passed the Constitutional Amendment giving women the right to vote, we also have more women serving in Congress than ever before,” the president said. The comment drew particularly enthusiastic chants from female lawmakers, many of whom dressed in white for the occasion to honour the legacy of women’s suffrage. It was again heard when Trump vowed that the US would “never be a socialist country”. However, independent Senator Bernie Sanders was among those not joining in on this occasion. Click on the player above to see what happened.